PLEASE READ THESE TERMS AND CONDITIONS VERY CAREFULLY. 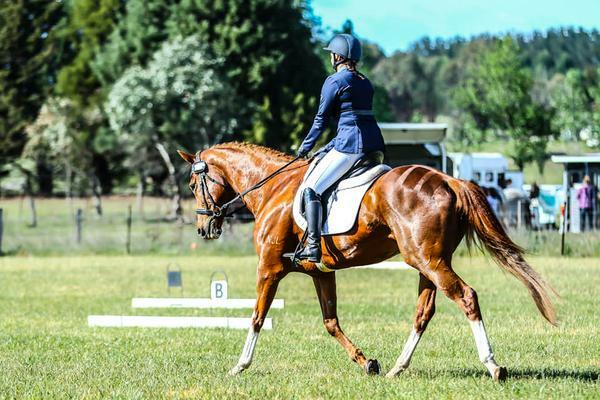 BY VISITING, BROWSING, SHOPPING, ACCESSING OR OTHERWISE USING THIS WEB SITE OPERATED BY WILSON EQUESTRIAN, THE CUSTOMER AGREES TO BE BOUND BY THIS AGREEMENT AND ACCEPTS ITS TERMS AND CONDITIONS. Wilson Equestrian wants to ensure you are satisfied. We want you to love what you have ordered. If something isn’t right let us know. We will send you another colour, a new size or an entirely different style within 14 days of your order. We endeavour to dispatch all in stock orders within 2 working days. We will contact you with a delivery date when ordering out of stock items. If you disagree with any of theTerms and Conditions of this user agreement, please do not visit, browse, shop, access or otherwise use this site. The copyright in all material provided on this Site is held by Wilson Equestrian or by the original creator of the material. Except as stated herein, none of the material may be copied, reproduced, distributed, republished, downloaded, displayed, posted or transmitted in any form or by any means, including, but not limited to, electronic, mechanical, photocopying, recording, or otherwise, without the prior written permission of Wilson Equestrian or the copyright owner. Permission is granted to display, copy, distribute and download the materials on this Site for personal, non-commercial use only, provided you do not modify the materials and that you retain all copyright and other proprietary notices contained in the materials. This permission terminates automatically if you breach any of these terms or conditions. Upon termination, you must immediately destroy any downloaded or printed materials. You also may not, without Wilson Equestrians’ prior written permission, “mirror” any material contained on this Site on any other server. Any unauthorized use of any material contained on this Site may violate copyright laws, trademark laws, the laws of privacy and publicity, and communications regulations and statutes. All trademarks and registered trademarks are the sole property of their respective owners. Photographs courtesy of TalinaC Photography unless stated otherwise. In order to provide you with the best online shopping experience possible, we need to gather certain pieces of information from you. Those who have not yet created an account will be asked to supply a name and an email address. You will also be asked to create a password in order to access this information in future. Address and payment details will be required when you reach the stage of making a purchase. Those who already have an account simply need to supply their email address and password to proceed. We use the online registration details to make your shopping experience simpler. We can also use it to send you regular emails detailing new products or promotions we are running that we feel may interest you. If you would like to stop receiving the newsletters you may unsubscribe by request. Wilson Equestrian does not sell or commercially make available specific information about its Users or Users other than in aggregate form, except in cooperation with law enforcement bodies in regards to content violations or violations of applicable laws. We will not allow third parties to access your account or personal information. We use full login and password controls on our sales control system. Confidentiality and database access controls are reviewed periodically and updated as required in order to further protect your personal data. Rest assured, your privacy and security of your personal information are our highest priorities.